Navigation becomes a breeze with the standard hydraulic steering system, an integrated footrest and room for a 7 inch GPS screen. 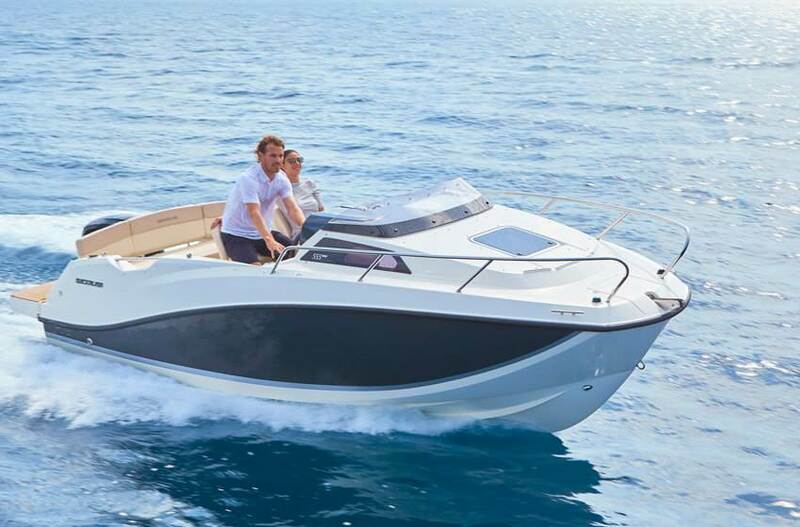 On the deck, you and your passengers walk around in all safety. 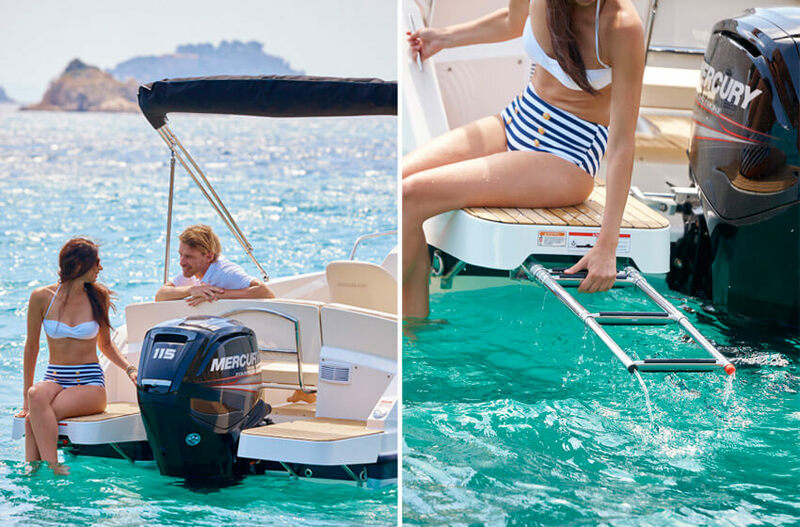 You’ll find wide port steps for easy fore deck access, an anti-skid deck trail and helpful hand rails. Do you feel in for a swim? Use the integrated swim platform or get the extended one to slide in gently. 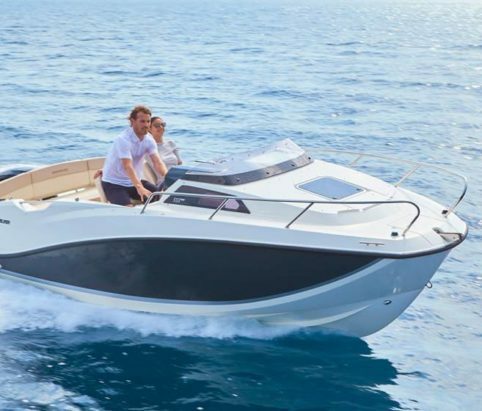 The helm of the Activ 555 Cabin was designed to improve functionality and optimise space. As a pilot, everything you need is at your fingertips. There’s a sport steering wheel, integrated armrest and footrests, and with the Activ Trim, you can count of effortless and optimal engine performance. Whenever you feel like taking a break, you just turn off the engine and swivel your chair around to face your crew. Indoors, cabin space has been optimised and the interior headliner gives a touch of cosiness. A translucent sliding door and side fore deck skylights add to a luminous and comfortable stay.